She's Dayna Kumada, a character from a story I never finished. 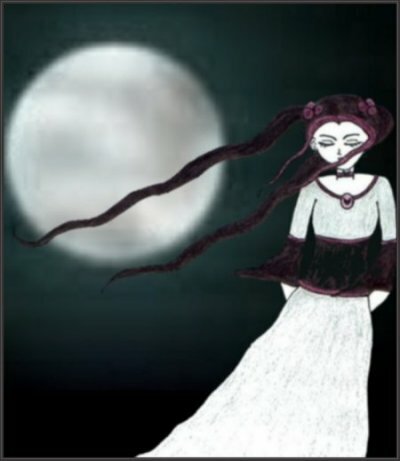 I didnt draw the moon...I stole it from somewhere and slipped it behind her form. hehe.